Waterman's Pride Oysters® are produced year round in our processing plant at Quality Seafood, a locally owned business located in Elizabeth City, North Carolina. 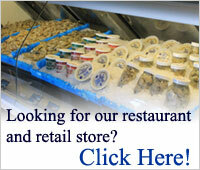 Delivery of our oysters is provided by our own company trucks throughout the southeast United States. For customers in the northeast and midwest we ship five days a week through freight carriers that specialize in shipping seafood, guaranteeing our oysters are received as fresh and as fast as possible. Our oyster processing plant is a HAACP approved facility. Our managers are all HAACP trained to bring you, the customer, both a safe and wholesome oyster. We process oysters when in season from the coastal waters of North Carolina, the Chesapeake Bay and the Gulf states. Our products include shucked oysters in retail packs of 8, 12, 16, 32 ounces and institutional packs of 1/2 gallon and gallons. Gallons are available in 5, 6 and 7 pound packs. 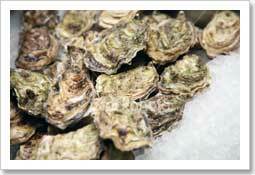 Watersman's Pride Oysters are also available in shell stock. Shell stock sold as 1/2 bushel (30lb) and bushel (60lb). Waterman's Pride® ensures high quality by buying only oysters that yields meats of the most desirable type which will be delivered in the freshest possible condition. Oysters in the shell must be kept chilled, away from melting ice, as fresh water will suffocate them. To keep oysters alive, place them in an open container in a cooler (34 to 40 degrees Fahrenheit) and cover with a clean, wet towel to prevent them from drying out. Shucked oysters need to be packed in ice.